US: President Donald Trump's son-in-law and senior White House adviser Jared Kushner says he "did not collude" with Russia and had roughly four meetings with Russian officials during the 2016 campaign and presidential transition. 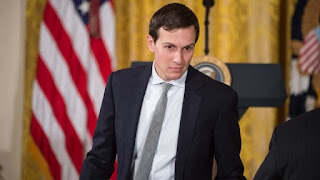 In a written statement released ahead of his appearance before Congress committees in closed-door sessions on Monday, Kushner said his initial security clearance form had been submitted prematurely in error and had omitted all foreign contacts. 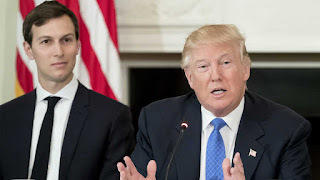 "I did not collude, nor know of anyone else in the campaign who colluded, with any foreign government," Kushner said. "I had no improper contacts. I have not relied on Russian funds to finance my business activities in the private sector," he said. Kushner faces two days of questioning from Congress as it tries to determine whether Trump's campaign enlisted Russia's help to win the White House in last year's election. He is expected to face questions about his contacts with Russian citizens and officials when he testifies before the Senate Intelligence Committee on Monday and the House of Representatives Intelligence Committee on Tuesday. Trump has been dogged by allegations his campaign aides worked with Russia, which US intelligence agencies have accused of interfering in the election. Moscow has denied any interference and Trump says his campaign did not collude with Russia. In a tweet on Monday morning, Trump lashed out at the ongoing investigations. "So why aren't the Committees and investigators, and of course our beleaguered A.G., looking into Crooked Hillarys crimes & Russia relations?" he added, referring to his former Democratic presidential rival, Hillary Clinton. Trump's son Donald Trump Jr released emails this month showing he appeared to welcome the prospect of damaging information from the Russian government about Trump's Democratic rival, Hillary Clinton. Members of both committees say they are eager to hear about the June 2016 meeting involving Russian lawyer Natalia Veselnitskaya. Trump's son, Kushner and former Trump campaign manager Paul Manafort all participated in the meeting. Kushner described the meeting as a waste of time. "I actually emailed an assistant from the meeting after I had been there for 10 or so minutes and wrote 'Can u pls call me on my cell? Need excuse to get out of meeting'." Another congressional panel, the Senate Judiciary Committee, is negotiating with Manafort and Trump Jr about testifying in a public hearing. Kushner will also face questions about reports he tried to set up a secret back channel to Moscow, as well as other contacts with top Russian officials and business leaders during the presidential campaign and the transition period before he took office. Kushner said he first met Russian Ambassador Sergey Kislyak in Washington in April 2016 and shook hands. He said he did not recall phone calls with Kislyak between April and November of that year as reported by Reuters, had not found evidence of the calls in phone records and was sceptical they took place. In a meeting with Kislyak after the election, on December 1, Kushner said he articulated a desire for the United States to have a fresh start with Russia. Kushner did not initially disclose any meetings with Russians on forms he filed to get a government security clearance. He has since revised those forms several times.